The Orchid Resort in Bailan is a 3 star accommodation which has from cheap hotel rooms to sea view deluxe suites all ranges of accommodation on Koh Chang island. The Thai traditional bungalows have a fan and they are a good budget option fur backpacker in Thailand. The hotel restaurant serves Thai, Austrian and Italian food next to the pool. The suites which are perfect for honeymoon in Southeast Asia are appointed with aircon, pool, TV and mini bar. 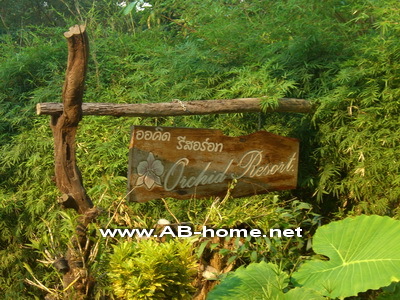 Orchid Resort Koh Chang is next to the fantastic beach in Bailan Bay. The white sand is a nice ground for relaxing, sunbathing and beach sports. The Orchid Resort Bailan is a cheap and cozy holiday location for families, traveler and couples who like to stay on a quiet beach with coconut palms and crystal clear water. Her you can book the Koh Chang Orchid Resort Bailan and many other Koh Chang Hotels and Resorts.